My name is Dawn Henderson, I am a senior in Agronomy here at ISU and this summer I am an intern with the Water Rocks! 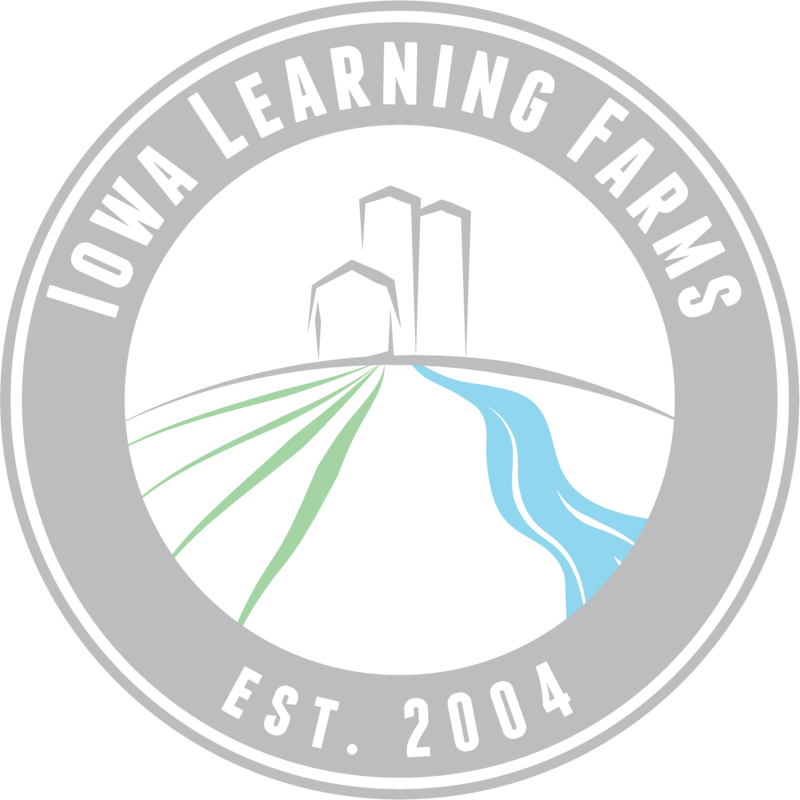 and Iowa Learning Farms programs. This opportunity has combined two of my passions: conservation agriculture and educating the public. Throughout the summer I have already had many opportunities to work with people of all ages and backgrounds in many different venues, but the message has remained the same: we must appreciate and protect what we have while we have it. In this blog post I wanted to highlight one of the more recent events I had the privilege of attending. This past Friday, June 22nd, I and two other interns took the newest ILF Conservation Station trailer to Sioux Center, Iowa. This trailer, “On the Edge”, focuses on two of the newest edge-of-field practices farmers have the option of implementing in their fields. Saturated buffers and bioreactors are both relatively new ideas that work to reduce the levels of nitrate in our water by allowing the natural process of denitrification to take place, rather than routing all of the tile drainage water directly into ditches, streams, and waterways. The struggle is, these systems operate entirely underground, and once they are installed observation is not possible, making it difficult to understand how they operate. The On the Edge trailer is beneficial because it provides the opportunity to see what is happening below ground, from the main tile line to the stream. At this event, hosted by Dordt College, a majority of the audience was comprised of farmers with an interest in conservation. Excellent questions were asked and encouraging conversations were had. Many questions were asked, such as, “How long do each of these practices last?” That answer is different for each structure. The saturated buffer is expected to last indefinitely, with minor upkeep on the flow control structure; the bioreactor is expected to need the woodchips refreshed every 10-15 years. Due to the fact that both of these practices are still in their infant stages many farmers are curious, but cautious. One of the most common questions was, “How do these practices directly benefit the farmer?” This is a simple question with a difficult answer. Edge-of-field practices are meant to improve the health of our water, meaning the reductions that come from bioreactors and saturated buffers are for the greater good, not necessarily the individual. That does not mean there are no benefits to installing these practices. With the right design and vegetation, these areas could become habitat for wildlife and pollinators. In addition to benefitting wildlife, these practices are also typically installed on marginally producing lands. By taking these lands out of production and putting them into conservation, the landowner may end up saving money, in addition to bettering the environment. These new practices show promise in the field of conservation to aid in reaching the goal of 45% nitrate reduction, put into place with Iowa’s Nutrient Reduction Strategy. Edge-of-field practices are intended to be used in concurrence with in-field practices, such as no-till and cover crops. By combining all of these practices, nutrient transport and soil erosion can be reduced by a significant amount, allowing Iowa to achieve the goal of reducing our nutrient contribution by 45%. Based on the level of interest and support I have seen at multiple events with this new trailer, I am hopeful that these two new practices will find a firm place in our Iowan farming culture in the future. Dawn Henderson is a senior in Agronomy, participating in the 2018 Water Resources Internship Program at Iowa State University. She is a graduate of Marcus-Meriden-Cleghorn Senior High School in northwest Iowa.